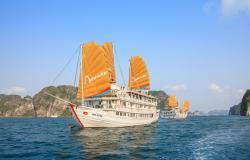 Bhaya Cruises treated us to a fantastic Halong Bay experience. Their boats were the nicest we saw on the bay the entire time there and the rooms were well-appointed and maintained. 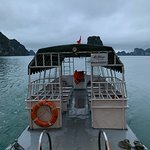 The captain did a great job of avoiding the more crowded areas without skipping any of the ‘must see’ parts of Halong Bay. The food, itinerary and activities were all too class. Notably, there was a miscommunication with our booking, but rather than make us deal with it the service staff at Bhaya went well out of their way to find us a room more consistent with our original booking (and actually ended up upgrading us significantly), and they wouldn’t accept any extra payment for doing so. We enjoyed it totaly. It was so good conditions. The tour manager was so nice and kind. The atmosphere was full of joy. If there was an option to give 6 stars, I would have given this rating! 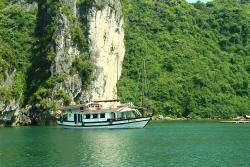 As part of our holiday to Vietnam, we booked the Classic cruise on Bhaya 2. It was simply out of this world, and not just in terms of the scenery! The staff were phenomenal, kind and helpful, and the hospitality and food was incredible. We have been to many, many places in the world, but never experienced anything like this. It is undoubtedly an experience we will never forget, for all the right reasons. Heartfelt thanks to the staff and crew, who are an acclaimed credit to their employer! 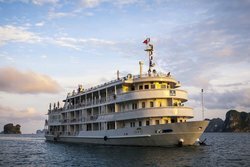 So, my advice: cruise with Bhaya 2, or spend the rest of your life with regret at what you missed! 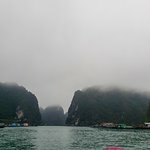 Halong Bay is breathtaking even when it rains. We enjoyed 2 days - 1 night we our two kids on Bhaya classic 1. 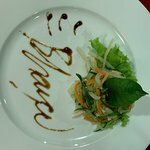 Excellent service and food. Excellent choice for an overnight cruise. Picked up at hotel in Hanoi and returned the next day to the International airport in Hanoi. 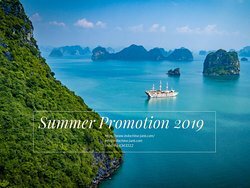 Small cruise boat with seven rooms. Our party had four of the seven rooms. We were joined by two Frenchmen and two Germans and had a delightful time. The crew were personable and the food was good. We had dinner and then breakfast and lunch the next day. Enjoyable happy hour. 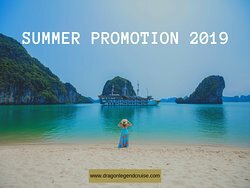 Cruise included a tour of a local fishing village in a small boat and a cooking class as well as Tai chi class in the morning at sunrise. Sonny was an excellent host . Prices were very reasonable. 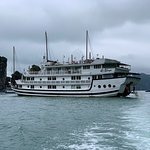 Highly recommend Bhaya cruises for Ha Long Bay.